Once upon a time, I happened upon a really great blog. It was full of style and picturesque scenes (including this kitchen that I am determined to one day re-create). Turns out, the girl behind the the pleated poppy blog is amazingly talented, and is frequently updating the pleated poppy shop with all kinds of handmade treasures. I've been dying to get my hands on one of these petal pushers for awhile now. I can think of so many fun things to do with them. I've a list a mile long of things to accessorize with them.. headbands, jackets, bags, you get the idea. I'm a sucker for an apron, and this one is at the top of my list. Love the turquoise and orange and the flower detail. But don't stop there, check out all her amazing creations in the pleated poppy shop. Today's winner will receive a $25 gift certificate. What will you choose? a petal pusher and that posy headband! i would love the crayon roll. it would definitely come in useful with my crayon-obsessed 4yo! thanks! I would love a cute petal pusher- maybe in rose? Or chocolate? petal pusher, hands down. rose. or chocolate. Oh, I love the zippered pouches. I think 209 or 210. : ) So pretty! so so many cute things, but I like the love apron or the orange one. I love the tea towels & the post headbands. So sweet! the olive and pink apron. so cute! I love the pedal pusher rose! oh, the possibilities of that adorable petal pusher! crayon roll for my toddler. thanks! I think I'd get a set of the Posy Pins. Between my 3yo daughter and I, we could put those to good use. I would pick the sassy apron. So cute! The cute petal pusher. You could accessorize so many different things, so cute! I would be torn between a set of Posy pins or a Petal Pusher!!! I love them! The birdie tea towel is really cute! I'm loving the Orange Dot Apron! So darn cute! I have to pick just ONE thing I'd like? :) I love the crayon roll for the kiddo, or the checkbook cover (mine is currently the hideous Wells Fargo freebie). 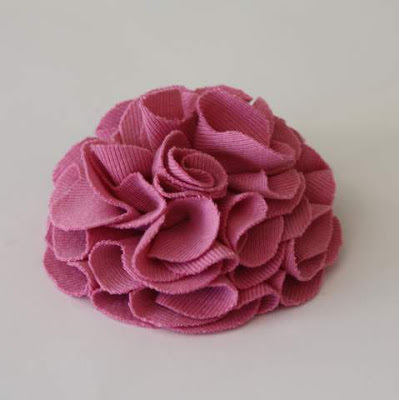 love love love that posy headband and the petal pusher in rose for spring! The posy hair clips are so cute! I would have to get a couple of Kiddo Aprons for my kids! I like the Posy Pins - 324. Adorable. Love the petal pushers--her stuff is absolutely adorable! I love the green apron. So cute. I would get checkbook cover 34 and zippered pouch 104. I'm in love with the orange apron that you like as well. So adorable. Perfect to surprise my husband with a wonderful meal in! I love the petal pusher in rose! I think anything would be great! The petal pusher is ADORABLE. Thanks! Camie L.
A green checkbook cover or the olive and pink apron. Or both! I would buy the chocolate petal pusher for me and the crayon roll for my daughter! LOVE the Posy clips and headbands for my baby girl! SO cute! I like the sweet little tea towels and the aprons. I like the posy pins. i love the posy pins! 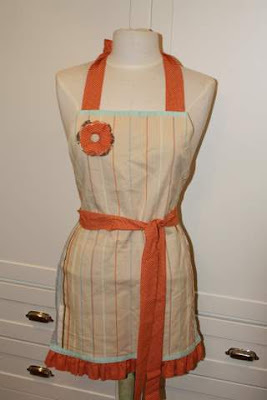 a white petal pusher and a chocolate petal pusher - or maybe I'd spring for the orange stripe apron!! So cute - my daughter wears her posy headband all the time! So happy you're having this giveaway! Sheesh that is tough. I really liked the checkbook cover and the petal pusher. The posy pins and tea towels are darling. I love the olive and pink apron! So cute! The love Birds tea towel, so cute! The Lovebirds Tea Towel is really cute, thanks! Cute shop! I'd probably choose a zippered pouch. That green apron is so COOL! Great giveaway! I love the tea towels! They would be perfect for my new place! the aprons are cute and the posy pins as well. great shop to share! thanks! The posy hair clips and the apron are so cute! I like the petal pusher - dark chocolate. So great! I'd put the gift certificate toward the sassy apron. Thanks! The apron is so darling! My sister has been looking for a femanine/flirty apron. This is it! I would love to get the covered notebook with stars! I would love to put the certificate towards the orange apron because it would make a perfect birthday gift for my awesome daughter. I love the petal pushers as well. Want one in every color!! the white petal pusher would be cute on anything! I love the tea towels! I would die to have those hanging in my kitchen. Any of the petal pushers are gorgeous! Love it. I'd have to go with one of the aprons! Cute stuff!